Our seamless integration with Facebook Messenger is available to all Kustomer users on all plans. 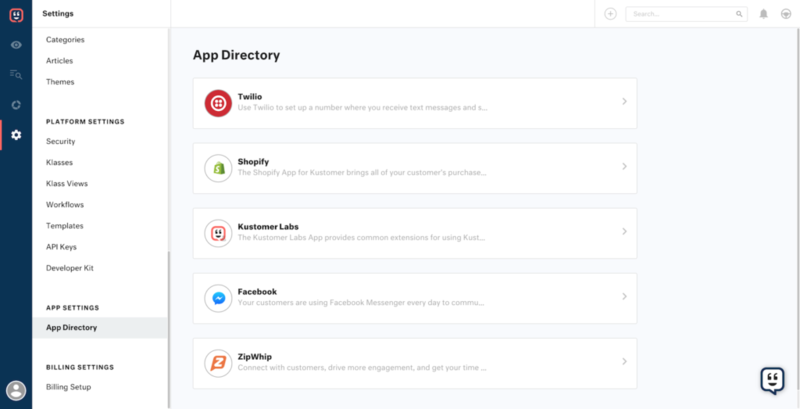 Once you connect your company’s Facebook page or pages to Kustomer, your support team can use Kustomer to communicate with customers via Facebook Messenger. When a customer sends your company’s page a direct message using Facebook Messenger, Kustomer can create new customers and conversations from those messages. If an existing customer with a Facebook account on file messages you, Kustomer will create a conversation on the customer’s timeline. Kustomer will notify you when a message is received so you can follow up as soon as possible. You can respond back to your customers within the Kustomer platform, and the response will be sent to that customer through Facebook Messenger. Your support team can manage all direct Facebook messages within the Kustomer platform. Not only can you send and receive Facebook messages within the Kustomer platform, but agents have access to key customer data so they won’t need to waste time searching across different systems. So when your customer direct messages you on Facebook after making a purchase, you’ll know who the customer is, what was bought, and when. You can easily access all the relevant information within the customer timeline so you can immediately assist the customer. Kustomer’s integration with Facebook Messenger gives your team the power and agility to respond to messages and support your customers across all of your brands from a single view.